I really don't think people are ready for the winter time, let's wait and see. Just watch this video and have fun. Also don't forget your popcorn. Just for fun!! Just sit down and watch. Get some laugh. Cool UV flashlight, you should buy one so that it is very useful. Just watch this and you will understand better. 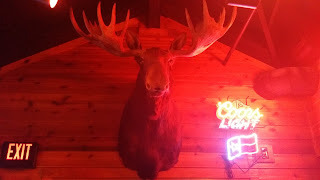 This one is the most huge Bullwinkle I have ever seen in my life. I really appreciate Zack, thanks! I really appreciate Zack! Thanks! I guess they have been setting it up a new law about walking too fast. Come and learn all you can. Try it and you might like it.